Time: The employment numbers for November were far lower than people were hoping for. But here’s the problem: The employment picture might not be as disappointing as the number the Department of Labor reported. Why’s that? The Labor Department failed to count just over 350,000 jobs in its final tally. Include those jobs into the mix, and…. …..In reality, the retail sector added just over 300,000 new hires in the month of November. But the Labor Department didn’t count those hires. That’s because the Labor Department’s final number of employment is seasonally adjusted. And since the retail sector disproportionately adds more workers this time of the year than the other 10 months, the Labor Department adjusts down the sector’s employment numbers in November and December. So retail employment gets over counted in January and February when hiring is slow, and undercounted in November and December…. The result: In the Labor Department’s final count, 350,000 retail jobs got excluded. And that may make sense. Many of those jobs are seasonal and temporary. But if the retail sector continues to do well this holiday season, some stores may keep a good number of those employees. If so, November’s disappointing job report might be just be setting the economy up for a surprisingly strong employment number for January. 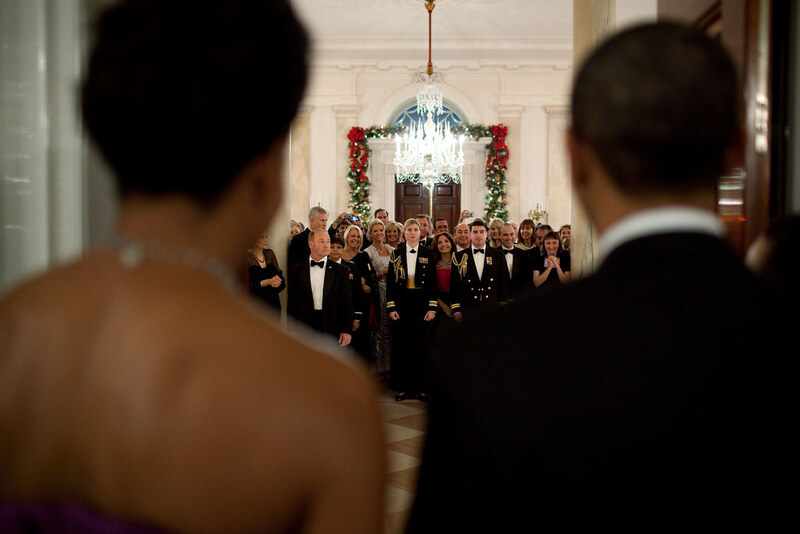 The President & First Lady host the Kennedy Center Honorees Reception at the White House. Later, they will attend a ceremony at the Kennedy Center. This year’s recipients: singer and songwriter Merle Haggard; composer and lyricist Jerry Herman; dancer, choreographer and director Bill T. Jones; songwriter and musician Paul McCartney; and producer, television host and actress Oprah Winfrey. wikileaks revelations embarrass obama! oh yeah? 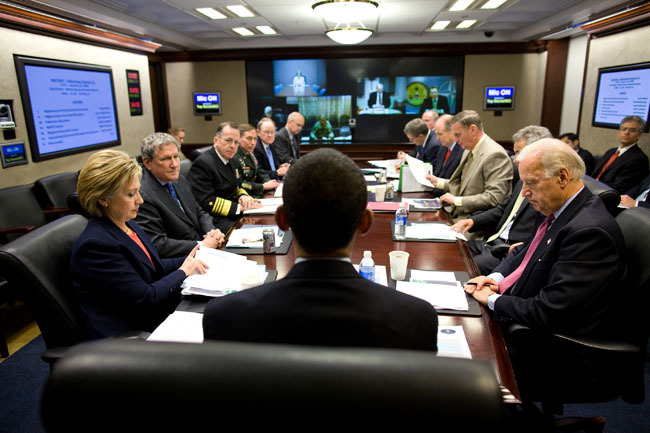 NYT: Barack Obama came to office vowing to restore “engagement” — talking and listening to America’s most troubling adversaries and reluctant partners — as a central feature of American foreign policy…..
Now we know, from the granular picture of engagement-in-action that emerges from that trove of 250,000 WikiLeaks cables, many from the first 13 months of the Obama presidency. Mr. Obama’s style seems to be: Engage, yes, but wield a club as well….. The cables suggest that Mr. Obama’s form of engagement is a complicated mixture of openness to negotiation, constantly escalating pressure and a series of deadlines, some explicit, some vague. …the cables confirm that the administration has largely fulfilled its promise to give engagement some time to work, even while preparing for it to fail….. While WikiLeaks made the trove available with the intention of exposing United States duplicity, what struck many readers was that American diplomacy looked rather impressive. The day-by-day record showed diplomats trying their hardest behind closed doors to defuse some of the world’s thorniest conflicts, but also assembling a Plan B. LA Times: The headlines from the WikiLeaks dump of thousands of not-very-classified State Department cables have focused, understandably, on the embarrassment factor: It’s not good for American diplomacy when foreign leaders see what they thought were confidential conversations reprinted on websites and in newspapers. But the substance is another thing. Take Iran. What do the cables tell us? That the United States has been telling the truth about what it wants from Iran; that the Obama administration desperately wants to find a solution that doesn’t include military action; and that a formidable alliance of other countries, not only Israel but most of Europe and Iran’s Arab neighbors as well, shares the U.S. concerns…. ….The Obama administration deserves credit for getting as far as it has. Critics dismissed Obama’s offer of engagement with Iran as naive and his reliance on economic sanctions as ineffective. But the sanctions have had bite, and it was engagement that made the sanctions possible. The problem of Iran hasn’t yet been solved, but the administration has made progress, the kind of progress that a collection of leaked cables can’t always convey. One party under the leadership of our President is conducting themselves with seriousness, purpose and deliberative civility. And the other, has abandoned their responsibilities to do the same in favor of political gamesmanship in their quest for control. The frustration and the scorn should be directed at the Republicans…..they should be held fully accountable for their ulterior agenda. That is up to the American people, who frankly are not adequately engaged or informed, or are reacting emotionally to the issues at hand, and the games being played. Allowing the MSM and the Republicans to take advantage of their weaknesses. Those who accuse President Obama of being weak, IMO are foolishly underestimating him, and at the same time condeding to the “rules” by which the Republicans want to play the game. The Republicans are more than happy to scapegoat President Obama at every opportunity, Democrats should be wise enough not to jump on their bandwagon. We have gone through this before, with every serious piece of legislation that has been enacted during the current administration. Blathering, dithering, hand wringing, name calling and yet in the end the President has achieved great success. Few want to dwell on the successes, and when they acknowledge them they tend to find ways to diminish or minimize them. There seems to be a general trend to be more comfortable with drama, conflict, and victimization, rather than healthier and more mature attitudes of patience, engagement, deliberation, resolution and ultimately progress. Americans are expecting too much of one person, and not enough of themselves and their civic responsibilities, or the responsibilities of those they elected to represent them. We are after all a participatory Democracy. These are very broad brush strokes, generalizations that I have formed from my own observations and frustrations and not reflective of the members of this community. We need to be able to engage in serious discourse which means we will certainly disagree, but unlike the “leftbaggers”, and their flame wars, discussions fueled by emotion and projection succeed mostly in fanning the flames. And generally fail at putting out the fire. President Barack Obama returns to the White House after a surprise visit to Afghanistan. Air Force One landed at Andrews Air Force Base at 6:08 a.m. At 6:24 a.m., the president was on his way to the White House aboard Marine One.